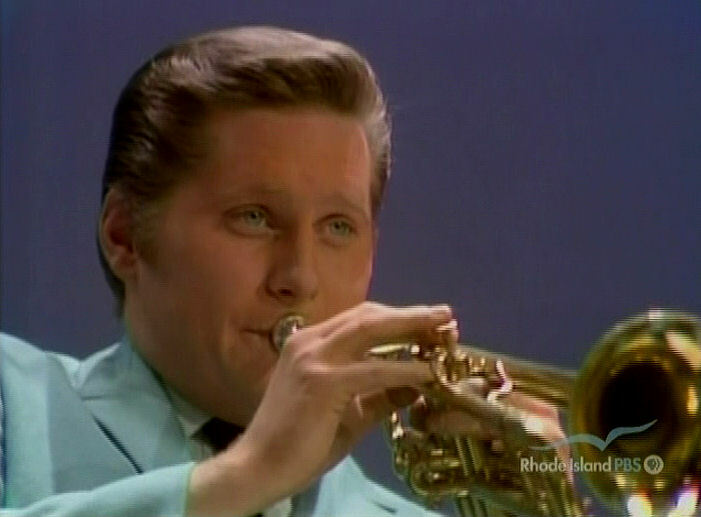 Johnny Zell was a longtime trumpet player on the Lawrence Welk Show from 1968 to 1982. Zell played a French Besson Meha Trumpet and could often be found performing solo or duets with Bob Havens, among others. Born in 1947, Zell got his draft notice to fight in Vietnam in 1965. Unlike other trumpet players his age, such as Lin Biviano who perjured his way out of serving, Zell served in the Army from 1965 to 1968. While Zell was a member of the North American Air Defence Command Band (NORAD), Lawrence Welk called to see if he would come to Hollywood and represent NORAD on Lawrence's national television show. Zell then left for Hollywood to do the show. After his performance, Welk asked him how much time he had left in the service. After Johnny's reply of . . . "13 months sir", Mr. Welk said, "Johnny, come and see me when you get out of the service, I may have a job for you"! Welk kept his word and Johnny joined the Welk orchestra the following year after his release from the Army. He remained with the show until Mr. Welk retired in 1982. Johnny and his wife, Laura, now live in Oregon.